From the Megantic mountain to the Ham mountain, explore the stream! 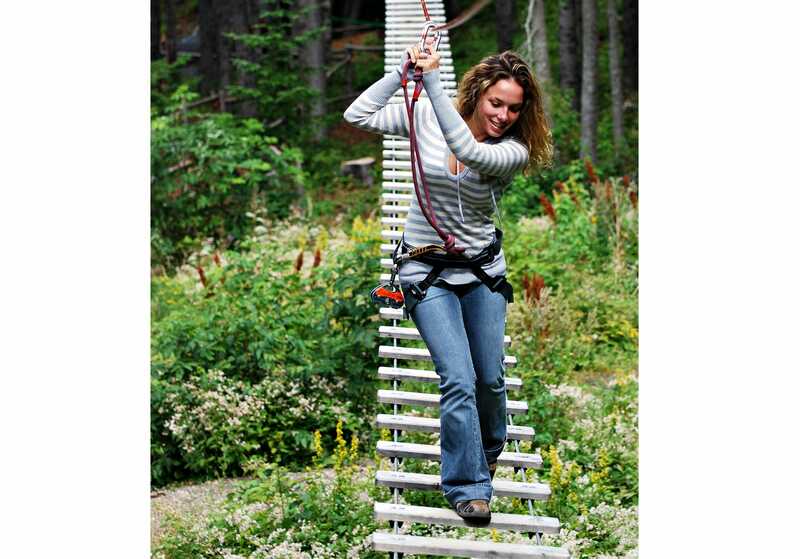 AERIAL ADVENTURES D'ARBRE EN ARBRE IS GUARANTEED TO BE FUN! Come enjoy yourself with our tree-to-tree obstacle courses that will make you live unforgettable sensations! The park has 67 stations comprising 1 demonstration course, 1 kid-friendly course and 3 courses for teens and adults. D'Arbre en Arbre is located by "la base plein air", on the shores of lake Mégantic. We look foward welcoming you to our facilities! Young people 16 and under can access the teen and adults courses if they are accompanied by an adult.